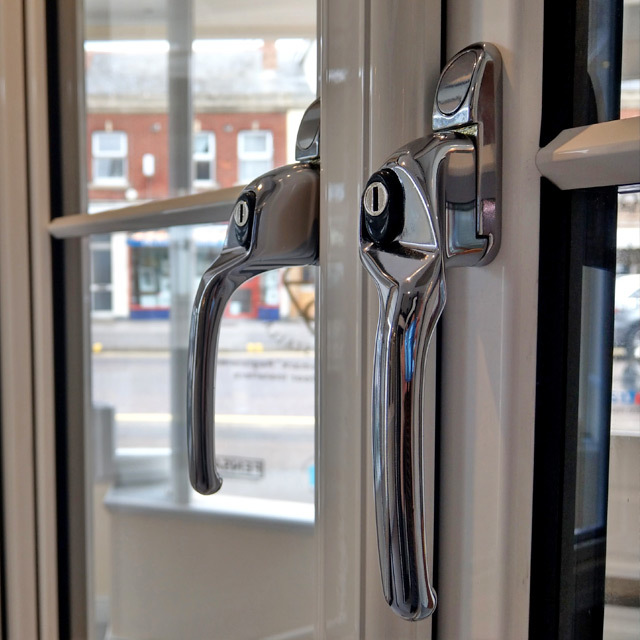 We welcome you to visit our newly refurbished showroom at Adam Window Centres of Tuckton, now displaying the contemporary REAL Aluminium range of windows and doors. On display in the new Aluminium section you will find a set of 3 pane anthracite grey bi-folding doors, a 2 pane sliding patio door and a selection of Aluminium window profiles shown in white and anthracite grey, the most popular colour choices on the Aluminium market. Complementing our existing Virtuoso Composite door range is the newly launched Virtu-AL composite door collection. The ‘ultimate aluminium companion’ Virtu-Al door is designed to reflect the contemporary appearance of Aluminium and perfectly complements any modern home. You can also find our exciting new Sky Room concept on display, letting the light in with the slim and elegant frames, a perfect choice to maximise the natural light in your home. Coming soon we will have an exciting new product announcement including PVCu window profiles with 30% better compression than any other window on the market, extended warrantees and Secured by Design status as standard. Please don’t hesitate to pop in or give us a call!